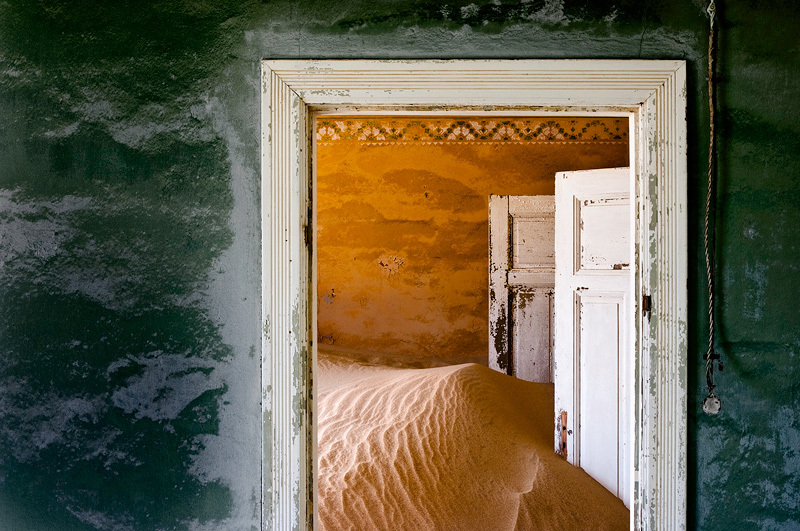 This image was shot in a deserted diamond mining village near the coast of Namibia. Once a thriving village, it was abandoned in the 50's when more diamonds were found elsewhere. The dunes have been reclaiming their territory every since, resulting in some of the most bizarre scenes you have ever seen. This is not a composite, it is not a painting - it is the real thing.